The European Union is India’s largest trading partner and a leading source of development aid, foreign direct investment, industrial collaborations, and technology. Containing fourteen papers by European and Indian specialists, this volume critically evaluates the economic and political challenges confronting India and the European Union in the new millennium. The book examines the issues confronting Indian and European security in the post-Cold War era, the sociological roots of Islamic radicalism in Western Europe, and responses of India and the EU to international terrorism and proliferation of weapons of mass destruction. The study critically analyses economic relations between India and the European Union and their respective positions in the New Millenium Round of trade negotiations in the World Trading Organisation. The contributors make a comparative assessment of India’s relations with the European Union and the United States since the 1990s and discuss relations between the EU and SAARC. 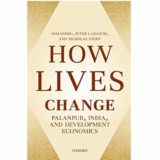 The book evaluates European and Indian responses to globalization and assesses the impact of the Euro on India. The book will be of interest to all those involved in the study of economics, international affairs, political science and area studies.